While surfing the internet you may come across a useful software, but don’t want to download it to the PC hard drive as you don’t need it now. At the same time, don’t want to let go of the software because you may need it in future. What to do? Well, you can download and save the web files directly to Google Drive account without having to download it first to your PC. This can be done using remote upload services that makes it possible to save files from the internet to Google Drive or other cloud storage networks using the URL of the file. There are several websites that offer remote upload service. 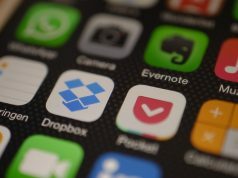 Some are free, and some have restrictions, and some are partially free but support most of the cloud storage services. We have listed a few such services that allow the users to download internet files directly to Google drive and any other supported cloud storage services. Note – All the services that offer direct URL based web file saving service need access to your Google account. So, if you don’t trust any of these websites with your Google account access, then don’t use your primary Google account with sensitive data in it. Create an alternative account and save all the web files to it. File to Drive is top on our list because it can save files up to 1TB. Now, most of us may never have a 1TB of a file to save online, but it has the option which is a good thing. File to Drive supports all kinds of file formats including pages, zip, RAR, doc and pdf. The service also supports notify by email feature that informs the user if the file is successfully uploaded or not. To use File to Drive, visit https://filetodrive.com/. Click on Connect Google Drive button. A new webpage should open asking you to provide File to Drive access to your Google Drive account. To save any file to Google drive, copy the URL of the web file and paste it in the “Place URL here” box. Click Upload to start uploading the file. If the file is large, then check the box “Mail me when upload is success/error” option. At the top of the page, the website shows upload notifications. Once the upload is completed, scroll down to see other details such as uploading speed and amount of data uploaded. The only downside to File to Drive is that it only supports Google Drive at the moment. 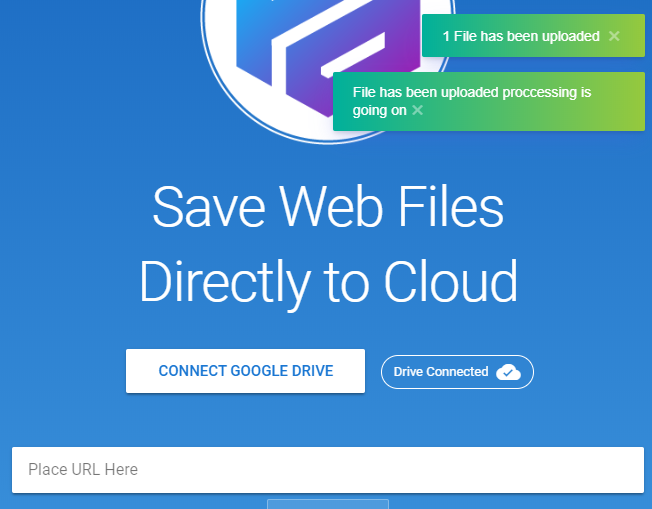 Unlike File to Drive, the Save to Drive supports Google Drive and Box cloud storage services. Save to Drive has no upload limit, so you can upload large files without any hassle. To use Save to Drive, go to https://savetodrive.net/. 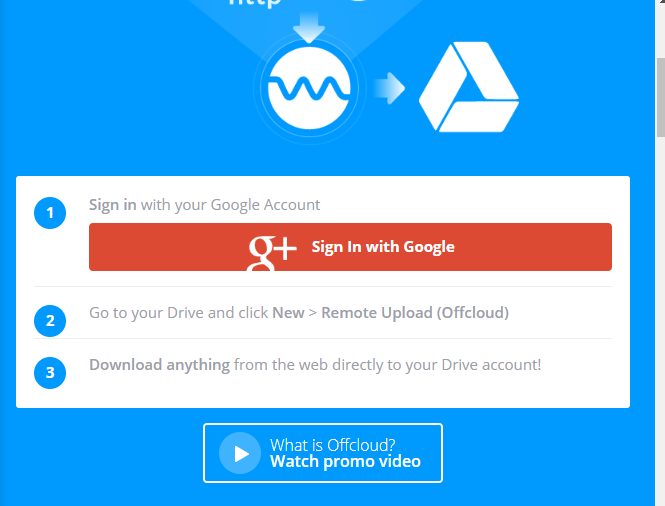 To be able to upload and save the files, users need to authenticate using their Google Drive, Dropbox or Box account. Click on the cloud storage service to which the file needs to be saved and authenticate. Once done, copy the file URL and paste it into the given box. Make sure you select the service using the drop-down menu. If you want to change the file name before saving the file, check the box that says “Change file name”. 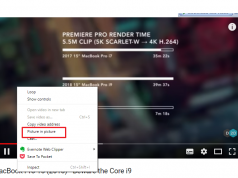 Click on Upload and wait for the upload to finish. You can monitor the progress on the page. The MultCloud freemium service that offers up to 2TB of data transfer. Being a multipurpose cloud transfer service, it allows you to manage all your cloud drives from one place. Multcloud supports multiple cloud storage services including OneDrive, Google Drive, Box, MediaFire, Mega and Amazon. The free account of multcloud offers a considerably slow data transfer, and large files take a reasonable amount of time. To be able to use Multcloud users should register on the website. You can access the service by visiting the website at https://www.multcloud.com. Offcloud is similar to the File to Drive and Save to Drive. It supports Google Drive and does the job of saving web files directly to Google Drive without any problem. 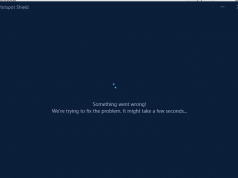 However, the working of Offcloud is different from the other mentioned services. Instead of accessing the service from the Offcloud website, the users need to access the Offcloud function from the Google Drive settings. The Offcloud isn’t really free, and you only get 10 GB of free trial to try the service. After the free trial is over, the user needs to upgrade to the premium plan. To use Offcloud visit https://offcloud.com/google. You need to authenticate the Offcoud with Google Drive account before the service can be integrated with your Google Drive account. Once done, open Google Driven and go to New > Remove Upload (Offcloud). Now enter the URL of the web file that you want to save to the Google drive. Thoai Media is one of the oldest remote upload service provider and still works just fine. It allows you to save web files to several online cloud storage including Google Drive, OneDrive, VK, DropBox, Amazon and more. The website does not mention any limit to the file size you can save or transfer, so transferring files of several GBs should not be a problem. To use Thoai Media, go to https://save.thoaimedia.com/. Enter the File URL in the shown field and also enter file name if you want to rename the file. Click on the Cloud storage service to which you want to save the file to. For example, click Google Drive option and then authenticate your Google Drive account. Note that the Thoai Media does not show any progress or completion notification when the file is saved. So these are some of the remote upload services allowing the users to save web files to directly to Google Drive and other cloud storage services. The remote upload services use API access to connect to the Google Drive account and upload the file directly from the source and save it using its own web servers that have large bandwidth allocation. This allows you to keep a copy of a web file saved in Google Drive or other cloud storage service without using any of your bandwidth and when you have access to the WiFi, you can download the file to your smartphone or PC.